Africa Utopia festival kicks off today at Southbank Centre, bringing together music, performance, fashion, food, talks and debates from the African continent and the diaspora for four days until Sunday 22 July. Highlights include the Grammy-nominated husband and wife duo Amadou & Mariam, who will play from their latest album, La Confusion. The Malian duo appeared on the Main Stage at Glastonbury, toured with Coldplay and U2, performed at a Nobel Peace Prize concert in honour of Barack Obama and played at the opening ceremony of the 2010 FIFA World Cup. Britain’s Got Talent stand-up comedian Daliso Chaponda brings his Presidents of Laughrica comedy night to the festival at the iconic London venue, with a line-up featuring Never Mind the Buzzcocks regular Junior Simpson and rising star Annette Fagon. Theatre lovers will find plenty to interest them, including two intimate performances of Edinburgh Festival Fringe award-winner WOKE by Apphia Campbell, which tells the story of two women’s fight for civil rights set against a powerful soundtrack of original music and traditional gospel and blues, sung live. Also don’t miss Reverse Colonialism!, a bold and interactive new performance set in a utopian nation for African-Europeans and European-Africans, in which the audience get to decide the outcome via voting cards. An Afro-futurist film short, Hello, Rain, gets its UK premiere on Friday night, followed by a Q&A with director CJ Obasi. Based on the award-winning author Nnedi Okorafor’s short story Hello, Moto, the film tells the story of a scientist-witch who, through an alchemical combination of juju and technology, creates wigs that grant her and her friends supernatural powers. There’s also a whole host of talks, debates and panels across the weekend, looking at everything from the future of Pan-Africanism to the best jollof rice recipes. In a Saturday lunchtime highlight, rising stars in contemporary African literature Michael Donkor (Hold) and Diana Evans (Ordinary People, The Wonder) discuss the themes of their work in a panel hosted by Mostly Lit‘s Derek Owusu. Grab a day or weekend pass to access all the talks. 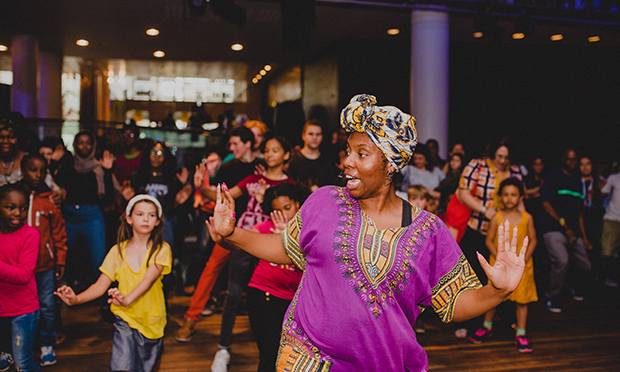 There are lots of free things to see and do throughout the festival, including the fashion-forward Africa Utopia Catwalk, an energetic Afro-fusion Dance Workshop and the prodigiously talented Chineke! Junior Orchestra. Between activities, sample the African food market and browse the Africa Utopia Marketplace, which features a variety of stalls offering the latest in African-inspired fashion, accessories, books, art and homewares. Find out more about Africa Utopia.